This simple recipe for Asian roasted chicken uses just five ingredients and results in a juicy and well-spiced chicken. The combination of flavors and ingredients in this recipe turns a plain roast chicken into something really special. Chinese five spice powder literally does contain five spices. It's easy to find at most large grocery stores, but if you can't find it you can make your own. Just combine cinnamon, cloves, ground fennel seed, ground Chinese peppercorns, and ground star anise. Keep this mixture in a small glass bottle and store it in a dark cool place. It's great to use in other Asian recipes. Serve this tender and flavorful chicken with hot cooked rice and a few stir-fried vegetables. A nice glass of white wine or some tea would be a delicious accompaniment. Place a trivet or a steamer basket in a 4 to 5-quart crockpot. Place the carrots, ginger root, and onions in the bottom of the crockpot. In a small bowl, combine the soy sauce, five-spice powder, and pepper and mix with a spoon to make a paste. Rub this mixture over the chicken. Place the chicken on top of the vegetables in the crockpot. Cover the slow cooker and cook on LOW for 6 to 7 hours, until the chicken is tender and the juices run clear when pricked with​ a fork. 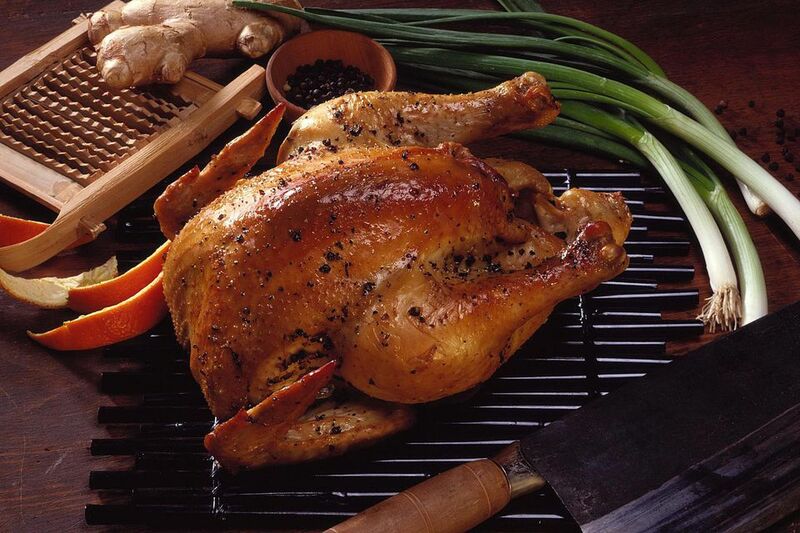 Always test the internal temperature of chicken when you cook it; it should register at least 165°F. Serve the chicken with the vegetables.